I think reading is so important. I was reading to P from the first day she came home, in part because I really didn’t know what else to do with her when she was awake. We’ve been blessed to have positive influences in our neighborhood. Many of the kids love to read and I think it’s influenced her. 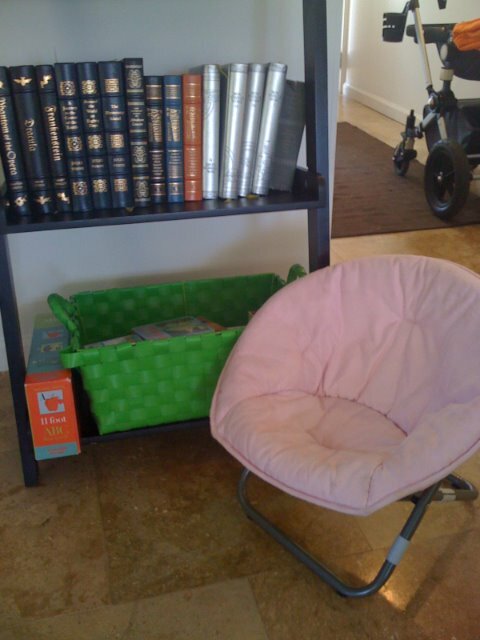 I wanted to have reading areas all over the house to facilitate the process. 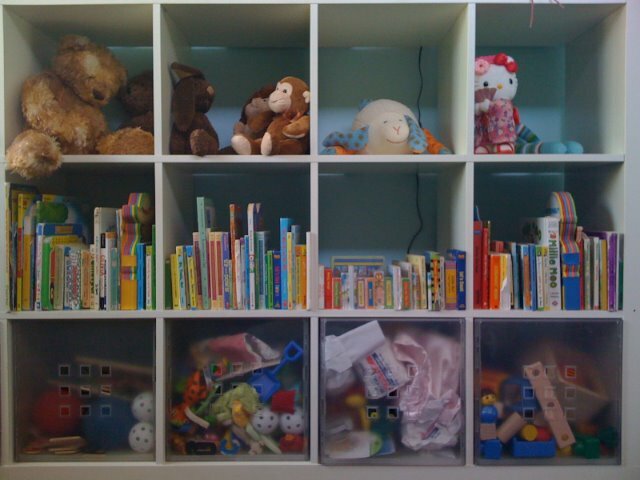 Fortunately, we’ve had lots of book hand-me-downs, so at 17 months, P has over 150 books. It makes filling 5 area, including the car pretty easy. We have books in her room, by her bed (which is in our room right now), the living room, the backyard patio and the car. On a long car ride she is entertained with books so I keep a big pile on my front seat. I’ve noticed P is most entertained with the books I read to her as a newborn. I feel I have proof that babies are understanding information even at days old. 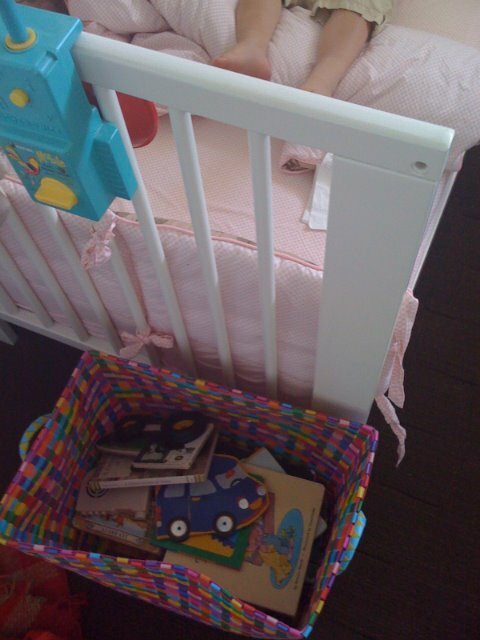 Once she started to get mobile, P goes to her room, pulls books out and flip through them. I watch her eyes and she follows the words and drawings back and forth. 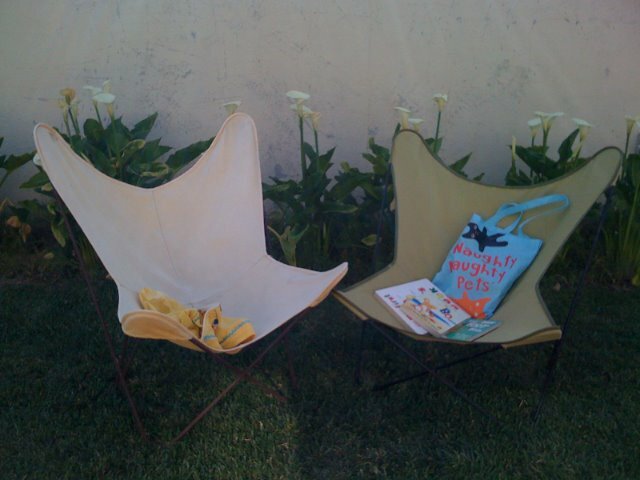 It looks like she is reading…but sometimes the books are upside down. Now that she is walking and moving back and forth between our room and hers at a rapid pace, I lay on the floor in the middle of the two rooms and read aloud. For a while I thought she wasn’t listening but when I stop she motions for me to keep reading. I read that children become avid readers if their parents are readers. It’s important to have our own books throughout the house. This was not a problem for us, we are good readers, not huge readers, but we do have books, mostly art and architecture books all over the house. I try to read my own books and magazines in front of her, not aloud, but in her presence so she sees that this is part of our day. She’ll join in with a book of her own. I also try to make reading time with her at around the same time everyday. Now, if I don’t start reading she’ll take my hand and get me to sit down with her. She likes to read. Phew!